It happened again on a recent Sunday, and I LOVE it when it happens. It’s usually in the lobby, but sometimes it happens in the parking lot or in a text/email. I’m speaking of moments where folks share with one another, or with me, how the Word of God impacted them and caused them to reflect or be encouraged or be challenged. And the best part? Nine times out of ten it happens simply from the text itself, and not what I shared about it. Take, for instance, what happened just a few weeks back. 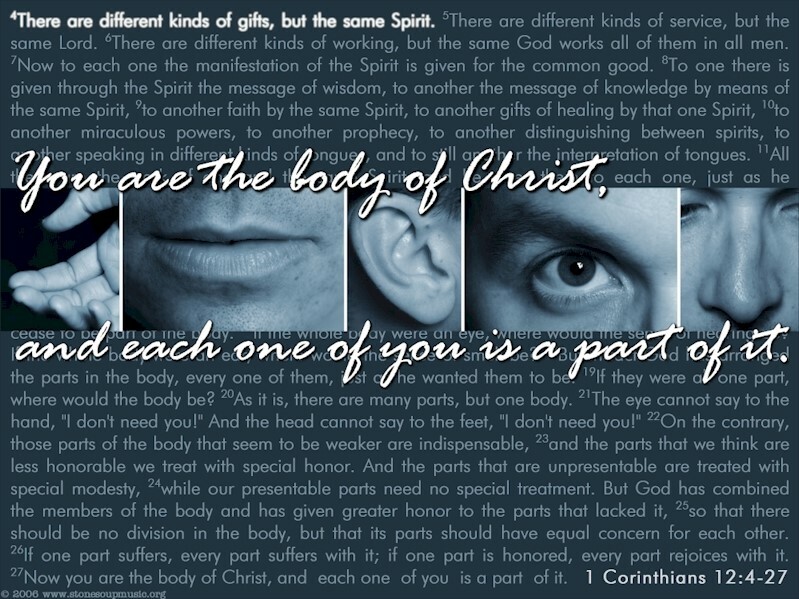 We had looked in worship at how the Lord speaks about his church and uses the image of the human body to help us understand how each one of us is an essential part of it. It’s I Corinthians 12:12-27. I love this text, I love what it communicates, and I love what it means. But someone pointed out to me an often overlooked gem tucked within it. Ready? “Those parts of the body that seem to be weaker are indispensable” (12:22). I won’t give examples, but I will challenge you to let this text do to you what it did to me: consider what parts of the body we might be using worldly metrics to evaluate, and to cease doing so. The Body of Christ functions differently than the kingdom of the world. And in case you’re feeling “weaker”, or “dispensable”, know with certainty that your Lord, your Pastor, and your church family knows better.